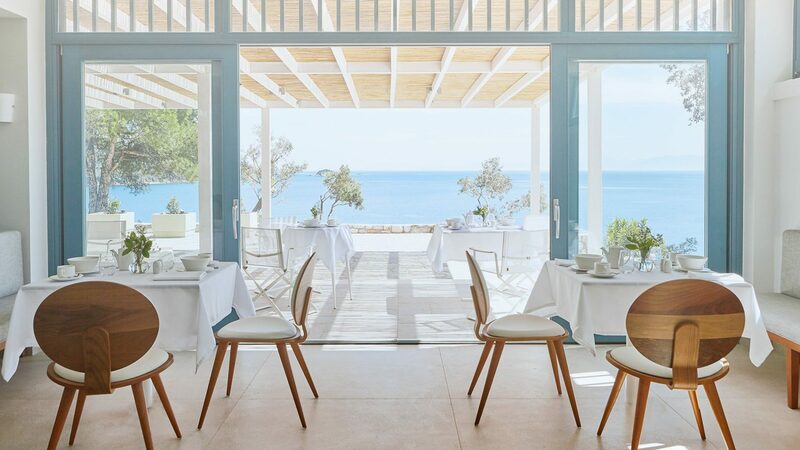 Inspired by the natural beauty of its surroundings, the newly opened Elivi Skiathos offers you a taste of true understated luxury amidst the lush vegetation of the Sporades Archipelago. 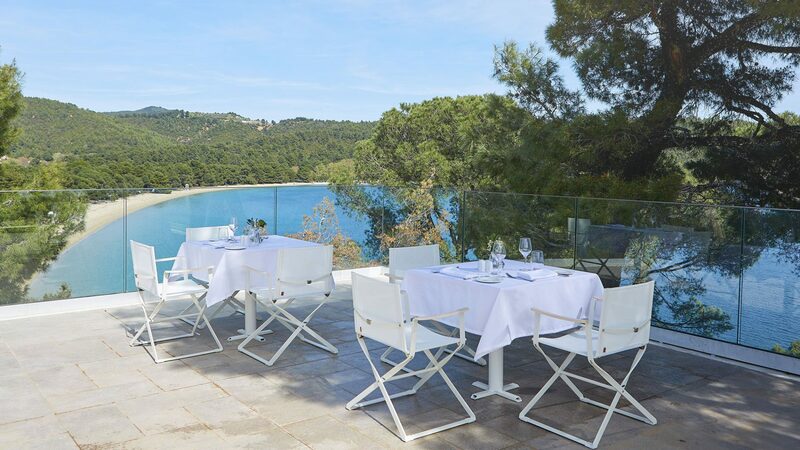 Simple in design and environmentally sensitive in construction, the hotel sits in total harmony with the surrounding pine forests, olive trees and sparkling turquoise waters. 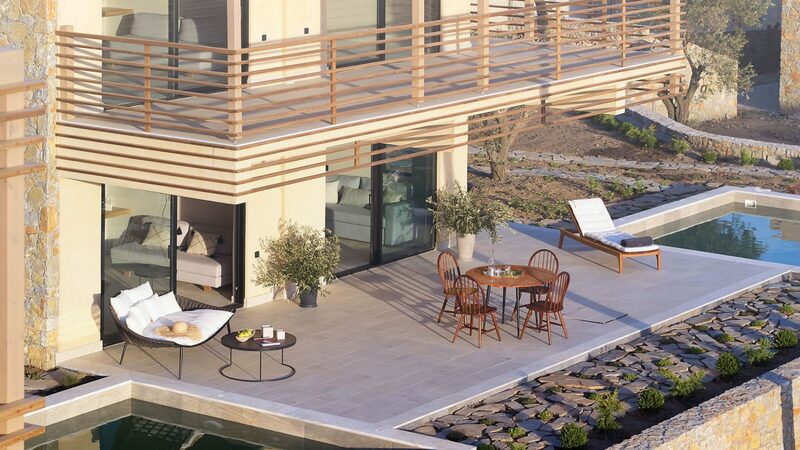 It’s hilltop location affords you enviable views across the Aegean Sea, whilst also being within easy reach of the island’s finest beaches. 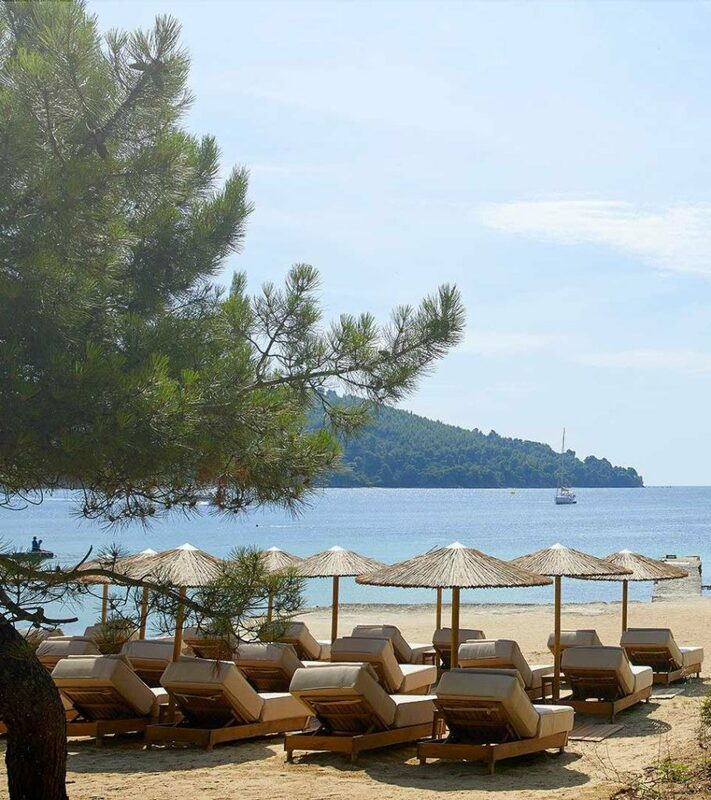 Facilities include two outdoor swimming pools, a gym and beautiful spa, whilst the water sports menu includes parasailing, jet skiing and stand-up paddle boarding. 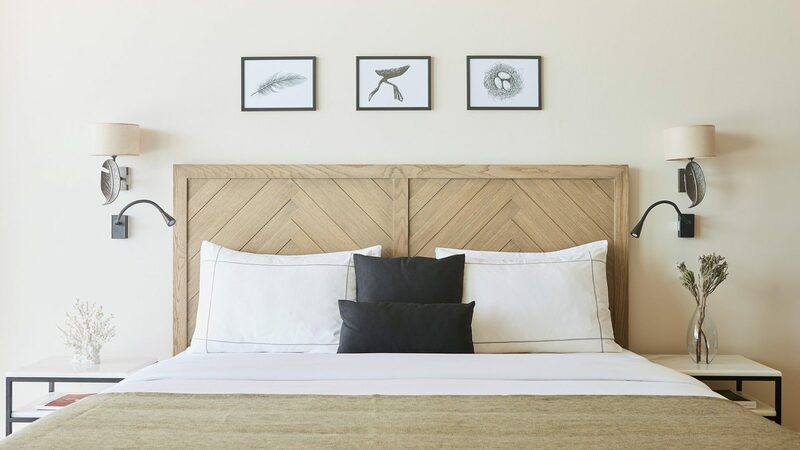 Accommodation is divided across three residential areas, offering guests a wide range of chic guestrooms, secluded suites and spacious residences to choose from – many of which have their own plunge pools and gardens. 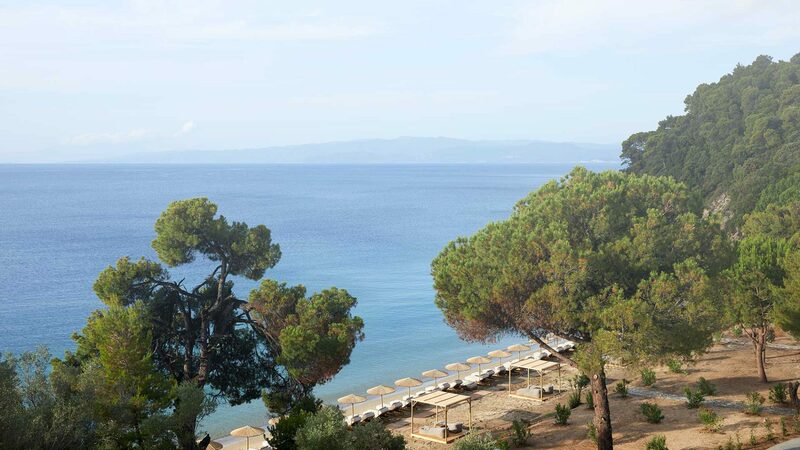 You’ll find 32 rooms in the main hotel, 11 suites dotted along Ambelakia beach and 61 rooms nestled in amongst the pine and olive trees. 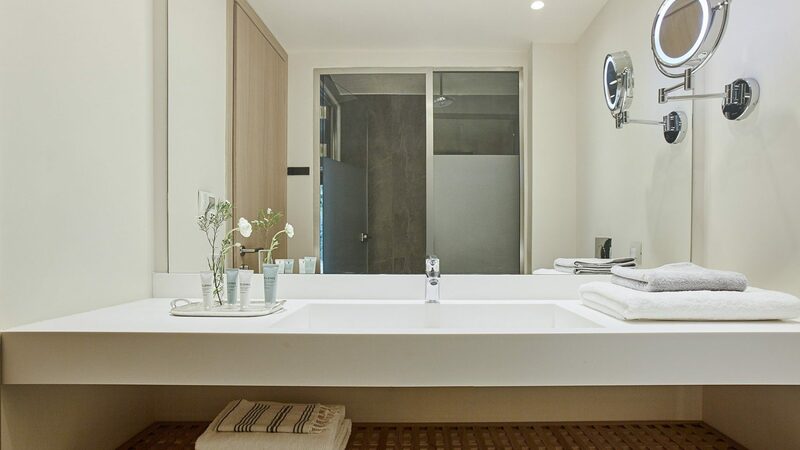 All are airy and elegantly furnished, finished with modern amenities and complete with ensuite bathrooms.